﻿ How Does Electricity Get to Your Home? If you have ever used an electronic device, turned on a light switch, or ridden in a car, you are likely very familiar with electricity and how it works. You understand that electricity is used to light up our homes, and even our entire world. Electricity is responsible for giving us light in the darkness, for charging our cell phones, and for providing important energy to hospitals and schools. You know that you have electricity in your home. You use it every day, from the moment you plug in your laptop to the evening where you turn off the TV and go to bed. But, how exactly did the electricity get there? 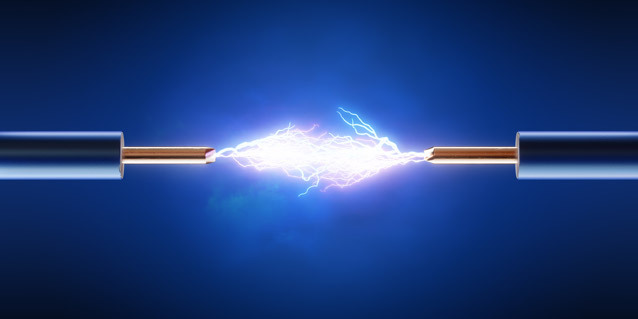 What is responsible for giving this electrical power to your home? In this article, our electrician Singapore will explain how electricity gets to your home, and how it is generated so that you and your residential neighbors can enjoy the freedom of this powerful energy for a lifetime. First, electricity needs to be generated at a power plant. Power plants consist of turbines and generators that use fossil fuels such as coal, oil, or natural gas to generate this power. The gas is burned, which powers a turbine to start turning. Once it's turning fast enough, electricity is generated. Once enough electricity is created and stored up in a generator at the power plant, it goes to a transmission substation at the power plant. The substation is responsible for taking that electrical energy and transmitting it to another location. It transmits the energy through a high-voltage grid, which carries it on to its final destination. At this point, the electricity is finally ready to move on to another place in the world. Transmission lines vary in distance, power, and ability. Not all electricity that is sent through a transmission is high power, and not all electricity gets sent to the same place. Instead, it decides where it wants to go from there. Did you know that the longest distance a transmission can send electricity is up to 483 kilometers, or 300 miles? This is a very long distance, and you can imagine how large and powerful that power grid must be. Most electrical transmissions are often much shorter in distance, and are sent to more local areas, such as somewhere within the city where the power plant is located. Transmission lines look like large, steel towers, and are not actual lines on the ground. They are usually unmistakably recognizable. Once you know what a transmission line is, it becomes very easy to spot one. The transmission tower is not a direct line to your home. Your electrical power still has a ways to go before it gets directly into your house. With every transmission tower contains a distribution grid, which is a set of lines that act as freeways, sending electrical energy down one lane or another. This energy is carried at a lower voltage than the transmission lines themselves, and is automatically converted. Once the electricity is inside the distribution line, it will then carry this lower-voltage energy down the grid and into your home. In contrast, if electric energy is being sent as far as the transmission can go (which is typically the 483km), it will actually be converted to a higher voltage so it can power itself over that amount of distance. This is how electricity can be transferred over great distances so that people from all parts of the country can receive the same amount of electrical energy. Usually, the electricity will go through one more conversion through a transformer near your home. This converts it to an even lower amount of voltage energy, as your home does not require high voltage amounts for most of its daily electrical functions. However much electricity goes into your home or your transformer through the distribution grid is how much you use per month, and this is what power companies use to determine your monthly energy bill.